This is soooo good!! 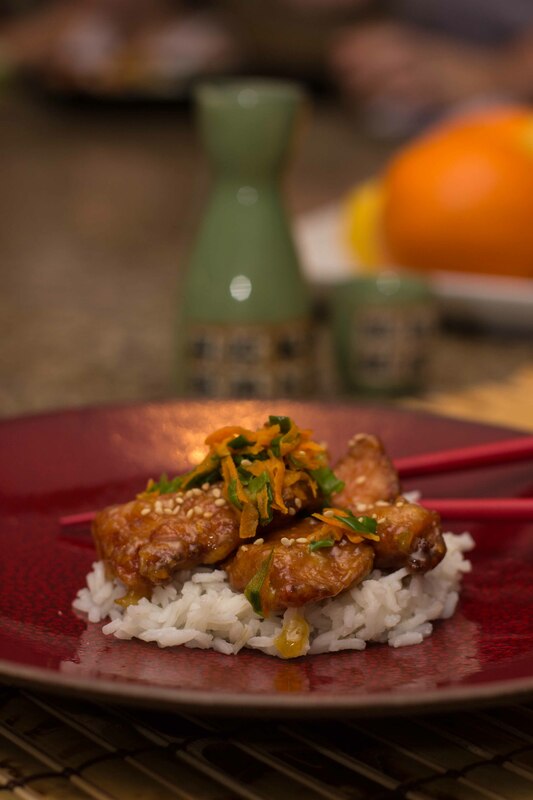 I have always loved orange chicken, back from the panda express days. But sorry PE, my husband got Kung Pao Chicken there once, and happened to get food poisoning. So…we no longer go to Panda Express. But I still want an orange chicken from time to time. This is such a tasty recipe! I had to get a little help from the Hubster on the frying because I haven’t done it before. We also used a large pot instead of a pan, just keeps the grease in better I think from spraying. We have kiddos that never stay out of the kitchen plus I am totally inexperienced and tend to hurt myself easily too. I found this recipe on No Recipes. I am still a little confused about the title but whatever. Put the chicken in a bowl with the soy sauce, sake and ginger and marinate for at least 15 minutes. When the chicken is done marinating, lightly dust each piece with potato starch. Heat a pot with at least 1/2″ of oil in it over medium heat until hot. In a separate pan, add the orange juice, marmalade, 2 teaspoons of potato starch and the salt and whisk to combine. Fry the chicken until golden brown and transfer to a paper towel lined plate to drain. 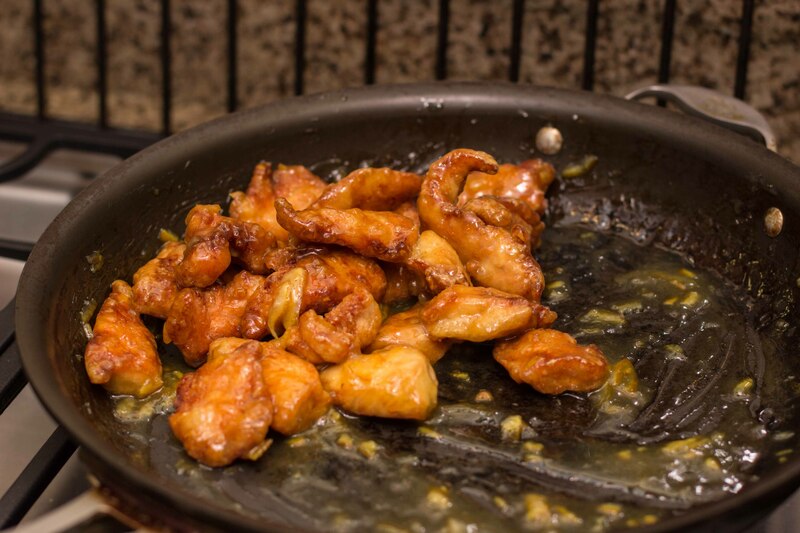 When the chicken is done frying, heat the orange sauce over medium high heat, stirring constantly to prevent clumping until the sauce is thick and bubbly. Add the fried chicken into the orange sauce and toss to coat. Autumn is a magical season. The nights get cooler and longer, the leaves burst into brilliant colors. Festivals and fairs, pumpkin patches and trick or treating. And the food! How can we not talk about the food? Pumpkins, sweet potatoes and yams, butternut squash, not to mention the sweet teases from the upcoming citrus season. With all of these glorious foods of fall, I am thrilled to be hosting an All Things Orange #SundaySupper on October 7th. It seems so specific, but the possibilities are darn near endless….savory, sweet, baked goods to breakfast dishes, if the main ingredient is that magical fall color, it will fit in perfectly! The #SundaySupper family is using the spirit of the season to inspire you and will be sharing some fabulous dishes at the #SundaySupper table this week, and we do hope that you’ll join us! In case you lost count, that is fifty nine delectable dishes! I don’t know about you, but my mouth is already watering! 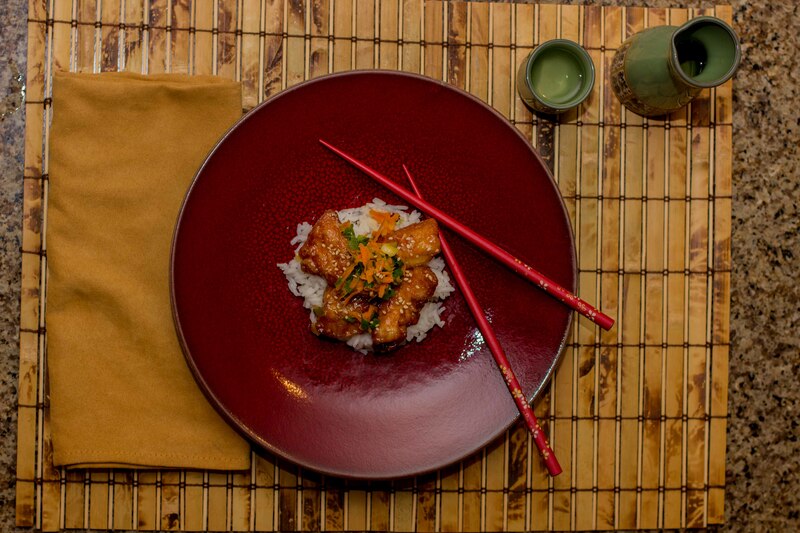 We love oriental anything around here. This is no exception. It looks wonderful. Definitely pinning this one for later!